Grant County, located in the central part of Northern Kentucky, was formed from Pendleton County in 1820. Named for two brothers who came from North Carolina in 1779 and established Grants Station , Fayette County. John developed salt works on the Licking River. Samuel was killed by Indians in Indiana in 1794. The County’s seat, Williamstown, is named in honor of William Arnold. He donated the original acreage for the counties public square buildings – a stray animal pen, jail and courthouse. Early pioneers heavily traveled the “dry ridge trace” (the Indian trail) which later became the Lexington-Covington Turnpike (the stage-coach route) and line of travel for the Norfolk Southern Railroad. After the toll gates were taken down, it became US Highway 25 or “The Dixie Highway” (the road for automobiles). Within this over 180 year old county lies a lot of history as evident through the many historic buildings, homes, churches and businesses… all representing the long standing traditions, people and life in this part of the Commonwealth of Kentucky. Grant County can boast of many “native sons and daughters” who have received wide acclaim in their chosen fields. Two legendary stars, Skeeter Davis (born Mary Francis Penick) and Arnold (Flash or Stilts) have had local highways dedicated in their honor. Appearing on the Grant Ole Opry for 40 years, Skeeter Davis was the first female country artist to have a number one crossover hits on the pop charts. “The End of the World” remains popular today. “Flash” Risen of Williamstown gained fame in the N.B.A. During his career (1948-58), he played 7 years with the Rochester Royals and the final three with the Boston Celtics. keyMost recently, Rodger Bingham of Crittenden put Grant County in the spotlight as he appeared on the national telecast, “Survivor” reality show. He frequently made reference to his rural life and his family and friends back home. His survivor skills and his people skills contributed to his longevity on the show. Today, Grant County is especially known for its southern hospitality and beautiful surroundings – whatever the season. In the springtime, it’s blooming red buds and in the summer, it’s Kentucky Burley in the fields reaching high in the sky. The rolling hills and winding country roads serve as a backdrop for the changing autumn leaves and on a cold winter’s night, ole man winter covers the ground with a fresh blanket of snow. The four incorporated cities of Corinth, Crittenden, Dry Ridge, and Williamstown each offer unique history and sites of interest. 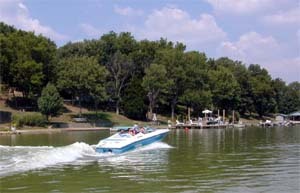 For the person that loves the outdoors, there are seven lakes offering everything from fishing, water sports and boating. There is plenty of shopping from antiques, outlet stores and specialty shops. Festivals are always big and offer plenty to do for the entire family. Grant County is conveniently located in the “heart of it all.” In the middle of the “Golden Triangle,” of Northern Kentucky-Cincinnati, Georgetown-Lexington and Louisville…making this the perfect place to come and enjoy all that Grant County has to offer, and then plan day trips to the nearby cities. Whatever direction you take, it’s always easy to return here for a good nights sleep.